Graeme Richardson-Locke discusses his experience attending ESMA’s Printed Interior Decoration Conference on the 5th and 6th June which featured various insights from leading figures in the wide-format digital printing sector as well as both technical and creative presentations. ESMA’s Printed Interior Decoration Conference 2018 took place in Dusseldorf between the 5th-6thJune 2018. The conference featured a variety of insights from leading figures in the wide-format digital printing sector. The twin track format allowed delegates to choose between either technical or creative presentations. For myself, the technical presentations were more aligned to my preferences, although I did attend some of the creative presentations. There were 28 presentations to choose from so we weren’t short of options. I was particularly interested to see the ColorGATE Surf 3D scanning system for digital texture capture and MS Solutions. MS Solutions have 23 single textile print lines and 900 industrial digital textile printers and are in a good position to provide a perspective on the technology development. On the first day, the technical part of the conference was moderated by the respected Prof., Dr., em. Marc Van Parys President of UNITEX. Marc introduced the presenters and continued to ask questions after the delegates had their questions answered. Antalis’ Xavier Jouvet explained that the Sign and Display market uses approximately 6.6 billion square metres of printed media of which 40% is printed digitally. It is estimated that the interior decoration market uses 23 billion square metres, which only 17% is currently produced with digital imaging technologies per annum. Xavier presented examples from many brands to demonstrate how they have created personalised interiors to reflect their customers work culture. As a result, this creates environments that lead to a greater sense of belonging. He also demonstrated the benefits of using ferrous media for mounting to magnetic panels for quick and easy graphic change overs in retail environments. Xavier continued to review the stunning opportunities currently available using dye sub fabric to create continuous walls of seamless imagery. The key message was that every surface can be printed on. Antalis have created their ‘Antalis Interior Design Award’ which received 43,000 visitors of which 29,000 were unique and received over 300 entries. Antalis also created ‘The Book’ which features the stories of the winners and the top 50 entries. Dr. Dieter Holzinger from Tiger Coatings presented their ink solutions for different décor applications. Tiger Coatings manufacture water-based UV inks for single pass printing at speeds of up to 200 linear metres per minute. These ink solutions are pinned (part cured) with UV before being exposed to near infrared energy to remove the water. Afterwards they are finally cured with mercury vapour UV. In addition, they make ceramic inks that fire at 600°C or a UV curing formulation for ceramic and glass applications on pre-treated substrates. TIGITAL inks and powders supply inks for paper laminated prints that bonds to melamine. The new developments are to print direct using UV inks for the industrial decoration of the base substrate in flooring and furniture applications. UV is superior to 100% water-based because the immediate cure prevents progressive TVI (tonal value increase) and cockling. The Hymmen Jupiter JPT-L single pass digital press prints UV at 40 linear metres per minute at a width of 2176mm. This series of digital printing presses have been engineered to handle industrial volumes of paper to melamine products that are used across a wide range of furniture and flooring materials. This graph illustrates the growth potential of digital printing in paper coated wood panels. For glass imaging the glass must be very clean, then heat-treated and pre-treated to be receptive to UV digital inks. The process of digital printing is generally CMYK and the inks are supplied to a tight ΔE 0.5 tolerance. The presses are usually calibrated at the start of each shift and UV provides great process stability over water-based. Dr. Marc Hunger from Merck introduced RGB printing, which sounds strange to most of us. This technology utilises Merck’s Spectraval pearl lustre pigments. These red, green and blue inks are either screen or gravure printed onto a black background using RGB separations. The end results provide stunning metallic images in full colour that capture light and have unique characteristics. However, the time and testing required to achieve the best results should not be underestimated. Atelier Siebdruck in Switzerland are one of the most able developers of this printing method and have found numerous applications in the luxury watch and jewelry markets where the higher costs can be justified. If you haven’t seen this technique get in touch with Merck for more details as it is stunning! Jan Seguda from ColorGATE presented on his topic of colour deviations in the decorating industry. Jan described the increasing complexity of imaging expectations including both colour and texture. Haptics or the power of touch is important in creating memorable moments. This is why the demand for textured effects in digital printing is increasing. He explained the challenge faced in creating the 3D data files, this is still an issue where many printers have to out-source this scanning process. Jan showed the SURF 3D – Metis 3D surface director which is ColorGATE’s system for scanning and capturing materials and design elements in full 3D. The system is also capable of creating ICC profiles. The workflow from ColorGATE utilises a proprietary file, .FPF for integration into their RIP or DFE software. The system can for example take heavily grained leather and allows you to replicate it on a UV flatbed printer with clear then process ink overprint to create an authentic and effective simulation, that is very impressive. The system can be used in many markets where it’s format of 49x32cm (or stitched to 49x85cm) captures sufficient size objects. There are several examples of where this technique can be applied such as textured printed phone covers to prototyping in the ceramic tile and flooring markets. Having enjoyed the technical presentations so far, I decided to move to the creative presentations. I saw Debbie McKeegan of TexIntel whose presentation was ‘Reinventing Interiors: A Digital Transformation’. Debbie expressed her interest in finding the best of the available print technologies. Debbie began her career long before Photoshop existed when analogue screen print and steam fixing were prevalent. She wholeheartedly embraced the changes that digitisation brought and subsequently ran both a studio to design her own product ranges and a digital printing facility for 20 years. Debbie continues to design and market her own ‘Debbie Mc’ range of fabrics and wall coverings. She has started a new business, TexIntel where she offers consultancy services for both analogue and digital technologies across all print processes and shares her knowledge. Debbie went on to show statistics that illustrate how large the markets are for décor printing and the small impact digital has made to date. These markets offer tremendous opportunities to disrupt the analogue processes with digital. The availability of affordable print in short runs for small micro business has created opportunities that didn’t previously exist. This was due to the fact a significantly higher minimum order was required to gain entry to market. The use of digital pigment print on cotton has now matured and the ink colour gamut has sufficiently expanded which makes it very appealing to buyers. However, Debbie had to develop fabric pre-treatment that would support the production of this wider range of colours. The digital pigment print method jets ink onto the fabric directly and then by using heat curing, finished fabrics can be manufactured without using high volumes of water. This is a great advantage over conventional analogue production. Debbie continued to explain that a new benefit of digital design and printing is that it offers the chance to combine texture styles such as denim and calico on the same base fabric. Polyester remains a staple fabric when printed dye sublimation and presents durable washable quality that has many end uses, as they range of weights and surface finishes continue to increase. Latex inks have become widely adopted in wallpaper printing. Debbie emphasised the benefits of this high-resolution low toxicity technology. The upcoming trends include improved sustainability, the use of technical fabrics and remade furniture where new digitally printed designs are upcycling the old to new. It is possible to have new forms of customisation and lifestyle branding when you can order just a few metres of fabric or wallpaper. Debbie’s presentation left us inspired that digital imaging will continue to grow apace in this reinvigorated space. Jan reviewed the various ink technologies that are used in the décor market. He discussed the use of UV curing inks and their application in flooring, furniture and wide format display. However, Jan discussed the risks when these are under-cured. It is important that health risks are considered as the chemical constituents in UV formulations can be harmful when not fully cross-linked. Water-based (dye) inks are ecologically viable and free from VOC’s. They offer a wide gamut and excellent adhesion to pre-treated surfaces. Disperse/Sublimation inks are primarily used for polyester, either via direct printing or via transfer paper. As a dry process it offers reduced consumption of water, however biodegradability still is an issue. Reactive and acid dye inks are used to print on natural fabrics. However, printing digitally direct to fabric has to be steamed and washed before they are useable. These printing methods require considerable volumes of water in the curing washing phases of production. Pigment ink formulations dominate the home décor market, glass utilises UV curing digital with pre-treatment, ceramics use ceramic frit inks that must to be fired to create a fully durable finish. The main benefit of introducing digital into ceramics is that it reduces the thickness of the tiles required by screen printing techniques from 6mm to 4mm. This saves a lot of primary materials which have become a key driver in digital success for ceramics. Fashion textiles use dye sublimation ink for polyesters and pigment for cotton-based products. Regarding processes, Jan suggested that it is important to consider the speed of the process be it single pass or multi-pass, the quality and the durability through pre-treatment or post-treatment. It is vital to consider the cost of production of wet process vs dry digital techniques. This presentation offered a useful appreciation of the benefits of each ink technology along with their potential issues. Professor Dr. Em. Marc Van Parys expressed his opinion that pigment still faces considerable challenges over wet processes as wet process colours become an integral part of the fabric as opposed to pigment binding onto the fabric. The next presentation came after a welcomed coffee break where I had the opportunity to get to know other delegates and hear their impressions of the proceedings so far. Michael Nothelfer from Caddon provided a technical presentation where he explained the difference between spot reading spectrophotmeters and multispectral measurement using the Caddon Can:scan multispectral device. The key benefit is that the equipment is better engineered to handle textured surfaces in carpet, velvet and other course fabrics since it can scan each surface by creating 16 images through 16 filters without making direct contact with the surface under a D65 or D50 light source. It can scan up to 1000 x 600mm in size and has a measurement accuracy of 0.1 ΔE. The investment is approximately €75,000 depending on the options selected. When compared to an X-Rite i1Pro2 which is perfect for smooth flat surfaces, the multispectral system covers all surfaces up to 50mm thick. This technology offers the highest quality colour acquisition and ICC profiling capability for industry segments such as carpet, laminate flooring, and leather. Once again, I moved back to the creative side to listen to Dr. Arnaldo Cacaci from Digital Media Großbildtechnik. His presentation was called ‘Large Format Printing 3.0: Find your niche, adopt new skills or become redundant’. Arnaldo explained their journey in becoming a leading global architectural glass printing specialist. He discussed the value in getting into the project management cycle early in printed interior décor so that the designer or architect understands the technical performance capabilities. The company runs an interior fitting service for their digitally printed glass. We were shown many examples of hotel groups who had used their PrintProtectionTM product to image hundreds of bathrooms. There is only one side of the glass that is manufactured to be printable. The value is derived from knowing what the glass will withstand and building an independently validated specification around it. Next, there was a discussion about wall coverings and the critical performance characteristics that are necessary such as abrasion resistance, tear resistance and image resolution. Arnaldo talked about one project where the tenant wanted an exposed concrete finish to cover 4,000 square metres of wall space. As the tenant didn’t own the building, a temporary wall covering was created by photographing concrete and printing the wallpaper. The client was completely fooled. The clear message from Arnaldo’s experience was that there are great opportunities available to those who focus on creating best in class products and marketing them to a clearly identified customer group. Meanwhile back on the technical side, Dr. Veena Sarojiniamma from Industrial Inkjet talked to us about the quality criteria required in wallpaper applications and the differences between screen printing, flexo, rotary screen, gravure, hand blocked and of course their interest, single pass inkjet. She explained that the market size according to Strategyr.com for wall coverings is expected to reach $36.6 billion by 2022. East Asia is the largest with a predicted volume of 345 million rolls. Industrial Inkjet Limited (IIJ) are the business unit within Konica Minolta who have developed a single pass technology using water-based pigment inks that can run at 2,300 linear metres per hour. This printing system provides the opportunity to print at industrial volumes and enables the process to disrupt the market that has previously been an analogue space. Dr. Sarojiniamma went into great detail about the need for automatic maintenance, print durability and compliance with EN 15102 and its partner standards. She also spoke about their development of Adphos NIR (near infrared) drying which offers lower temperature curing of water-based pigment inks resulting in less substrate distortion. Slide of the Adphos NIR drying technology. The print head technology is built for a 10,000 hrs life cycle. Calibration is required at the beginning of each shift and colour can be re-linearised and the voltage altered to ensure accuracy. Following Dr. Sarojiniamma’s presentation, Dr. Simon Kew from Alchemie Technology discussed his paper ‘Delivering Digital Manufacturing for the Interior Décor’. He spoke about how digital growth is driving consumer behavior. Amazon spends 16 billion dollars a year on R&D when compared to P&G who spend 2 billion dollars. This shows their strength and influence. His argument is that factories of the future will need to adapt to meet a market where much of the throughput will be direct to the consumer. His organisation is developing new novel solutions to use digital imaging in some unusual applications, one of which is their Jetronica technology. Where we’ve become accustomed to ever finer nozzles in inkjet there are of course applications where larger deposits of more viscous liquids need to be placed onto materials. The Jetronica and Jetronica XL Piezoneedles have a diameter from 100 microns and 0.5mm – 50mm on the XL. This allows for all manner of ‘printing’, icing on biscuits, gaskets and adhesives in electronics production. In the case of personalisation of biscuits, this method offers a viable route to achieving this on a high-volume basis. You can imagine the delight of a child receiving a box of cookies with their name on! Afterwards, Dr. Kew continued to demonstrate innovation with the VibroJET, PowderJet and PiJet jetting technologies which are focused on a variety of ‘powder’ deposition applications. So again, imagine the possibilities of depositing conductive materials that can be fused to create solid structures to be used in addative manufacturing in electronics, sintering and 3D printing. One thing we know is that these processes will find their place in an ever more complex digitaly driven landscape. Dr. Kew’s paper concluded the first day of the ESMA PID conference, clearly filled with fascinating contributions and thought provoking insights. Before we left for the evening, ESMA organised a standing buffet for the delegates to meet and talk about the experience so far. I was very pleased to meet with Peter Buttiens, CEO of ESMA to congratulate him on organising such a successful event. Peter introduced me to some prominent figures at ESMA including Roland Biemans, Steven Harnie and Jochen Christiaens from LMNS consulting all of whom provide expertise within the industrial printing field. After a much enthusiastic discussion I left to prepare for day two. Moritz M. Broch from Wallpen was the first to present on the second day. He provided information about a new product that can print direct to media that cannot be moved. The system can print at 1440dpi resolution 400cm x unlimited length on brick, stone, tiles, steel using UV ink with 2 year outdoor and 12 year indoor. Whilst the speed is 12 metres per hour, the fact that this printer can print directly to many surfaces is interesting. As with any new development it will be interesting to see where it finds its niche. It’ll have to compete with vinyl wrapping and cladding of surfaces and will need to reach a point of having white and clear ink to open up it’s creative range. Moritz has the drive and determination to grow this unusual machine and I for one look forward to tracking its progress. objects.I had been looking forward to our next presenter Klass Kackmann-Schneider, Business Development Manager from Dover Digital Printing. Klass described the growth of MS Solutions from its beginning from creating textile screen printing machines in Italy up until 2014 when a 50 million euro company Dover Industries acquired the company. After selling over 1,000 small T-Shirt printers they evolved their single pass LARIO press which now has and installed base of 23 globally with a gross annual capacity of 760 million metres square per year. They have shipped over 900 multi pass industrial textile printers with a capacity of over 1 billion square metres per annum. It’s fair to say when MS Solutions speak of textile inkjet they are an authority to be heard. Klass explained that the single pass press is suitable for a narrow field of clients where very large volumes of common fabrics are required. As an example, one LARIO is running 6 days per week 24 hrs at 3.2metres wide producing bed linen for IKEA. This is a great example of global demand and high volume with lots of design changes. There are also cases where single pass presses have been commissioned where at least four machines are running at 5% of their capacity. This illustrates the importance of ensuring that the market is available before ordering this type of technology, at 5% utilisation the hourly rate would cripple any business fast. When considering that currently only 5% of volume textiles are digitally printed, this suggests there is a massive business opportunity. 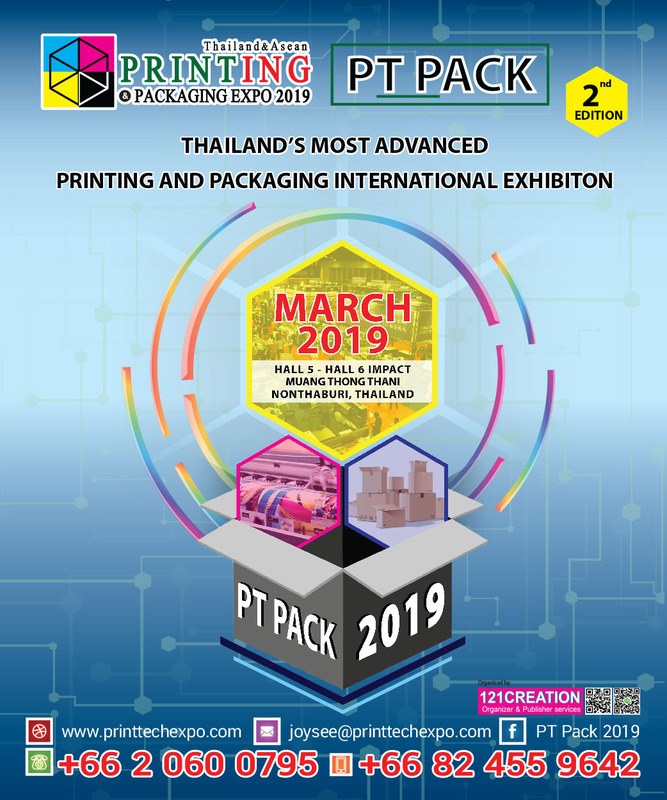 However, similarly to the challenges faced in digital single pass corrugated packaging getting enough print volume to drive a maximum speed of 300 meters per minute or over 150,000 metres per shift takes some planning. Therefore, single-pass is not for everyone. The technology offers a huge capacity but takes more time to get up and running. With 50 metres in length the run up waste means it is only suited to full industrial production. When you consider the large number of print heads, controlling colour across them is challenging and ΔE0.5 is impossible, ΔE of 3 is more realistic at this point in time. Dover Digital Printing are currently looking at introducing industrial multi-pass solutions to offer high production flexibility with their JP7. Their ratios across the technology are single pass 300 euro m2 per hour LARIO, industrial multi-pass JP7, 1,000 euro m2 hour and plotter Mimaki tech at 1600 euro m2 per hour. Klass argued that single pass is still a young technology and subject to development but will inevitably disrupt and improve industrial textile production. There were only two more presentations to go in this marathon. Joachim Rees from the Industrial Association of Technical Texiles, Screen and Sun Protection stepped up to give his insight into ‘Sublifusion: A New Way of Digital Textile Printing’. This process involves heat pressing fabric layers together. The Multi Plot Sublifusion process bonds any fabric with the Subtex CP110 polyester fabric intermediate layer and inkjet sublimation paper. The Heatjet calendar transfer machine uses carbon powder instead of oil to maintain even temperature in the transfer drum which results in greater temperature accuracy. The heat transfer process of sublimating the fabric simultaneously melts and bonds the base fabric. Dye sublimation on combination fabrics up to 1500mm wide can be used. The system uses a special high temperature glue that is applied. At €1 per square metre, the polyester bonding layer presents some interesting new ways to achieve all over prints onto materials such as tweed. Whilst this process may create challenges in recycling such as the waste material at end of life it also creates new ways of decorating natural fabrics which may have a nicer feel than polyester. Professor Ujiie’s presentation was on ‘Surface Imaging: A New Concept’ and field for printed interior decoration. His first statistic reminded us that we are part of a 1.5 trillion dollar market in digital printing. He shared numerous examples of the creative expressions of digital printing and showed us a video of the ‘Makers Lab’ which has been built with the support of Mimaki and Epson. The educational unit has UV digital, dye sublimation, pigment and solvent-based digital printing technologies. It aims to encourage students to get their hands dirty and to discover the myriad of uses for these printing techniques. The results show just how interesting our business is to young entrants when they have the potential and realise there is infinite creativity in printed products thanks to digital inkjet. All agreed that it would be great to see this initiative played out in Europe to inspire a new generation in our industry, FESPA and ESMA as key representatives of printers and suppliers welcome such ideas. So, if you’ve made it to the end you probably feel like you’ve experienced a good deal of the highlights, just think if you had attended you would have even more to digest. ESMA are running The Inkjet Conference (TheIJC.com) on 16th and 17th of October 2018 in Dusseldorf which I thoroughly recommend you attend. FESPA will of course be laying the ground for the Global Print Expo 2019 in Munich in May. My message is as always remember to escape the day to day and make time to broaden your understanding, even if the presentations aren’t all directly related to your current activity you’re bound to meet people and learn things that will make the trip worthwhile.